Molded Plastic Counter Stool with Dowel Legs is made from an ergonomically molded plastic which ensures a high degree of comfort. 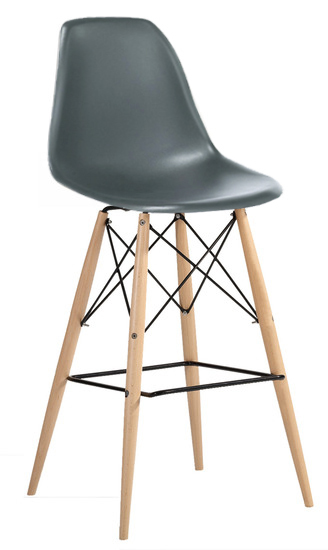 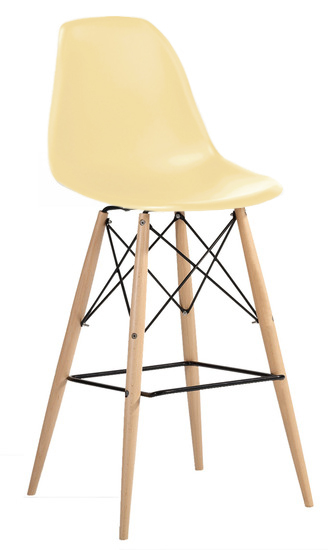 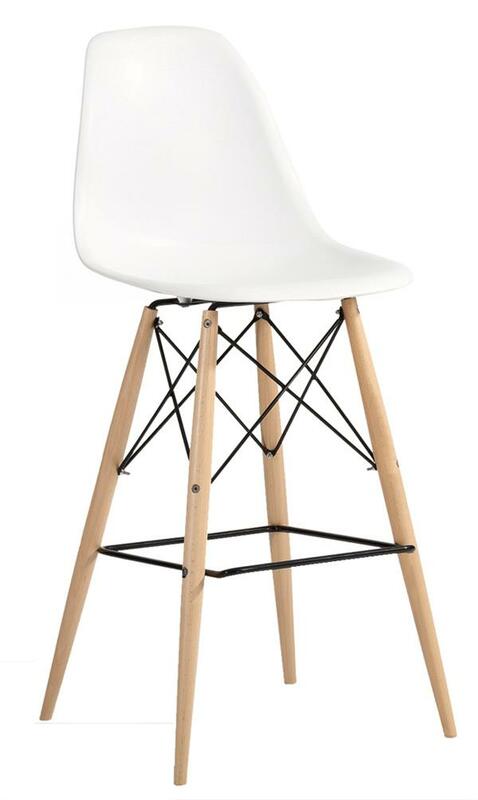 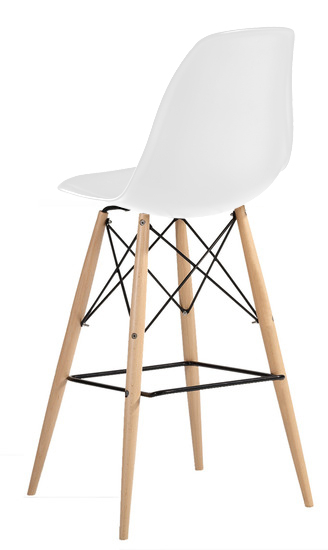 The wooden dowel legs give the molded plastic counter stool a softer feel, yet the metal rods connecting the legs hint at the geometric form that this chair's base is famous for. 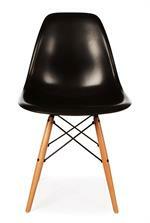 The Molded Plastic Counter stool is a good choice for a wide variety of settings.